3D technologies are booming in construction, Virtual Reality (VR), gaming, engineering and manufacturing. In an effort to help users bring their visions to life, edddison technologies and Siemens will be partnering up to provide a fresh new way of utilizing 3D scenes. edddison’s same-named plug-in integrates seamlessly into the Siemens Tecnomantix Plant Simulation, which marks an important step towards intuitive 3D navigation, as users will be able to actively use virtual scenes without prior knowledge or training. This allows even non-experienced customers to be part in the planning and decision-making process of a new building project. Read more about the partnership with Siemens. The “edddison for Tecnomatix Plant Simulation Beta” is available now. You are a Technomatix Plant Sim user and would like to present in a better way and work together with the management, clients and stakeholders? 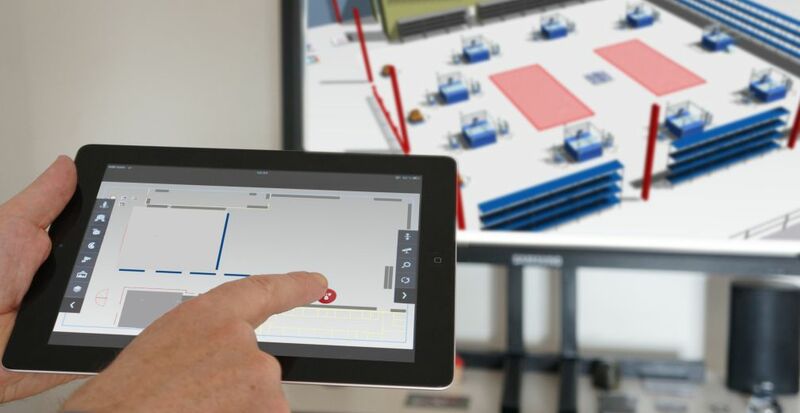 Use the edddison Plant Simulation integration, an interactive, user friendly 3D layout tool to configure and walk through your factory before it is real. Would you like to participate in the “Plant Simulation Beta program”?